Link to BBC News Item – Vandalism at a Graveyard! 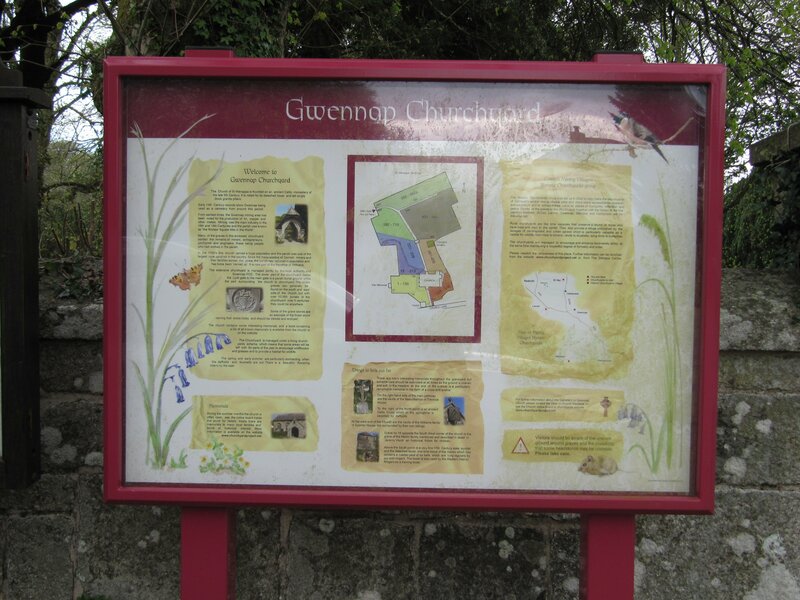 Link to BBC News Item – Two churchyards in Cornwall get Dispersal Orders! 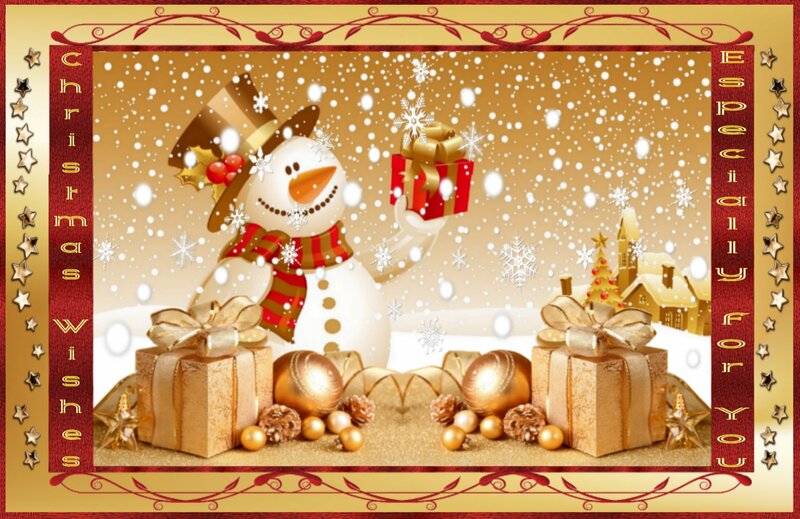 Christmas Wishes and reasons for not adding posts for a while!! I know that it is such a very very looooooong time since I was able to post on my blogs and am amazed it really has been ages since my last post here. The reasons for this are as follows (which I have also copied to my So That’s Where I Get It From blog). Due to illness in the family and later a sudden change with things in September I really have not had the time to be able to devote to any family history research or this blog or much of anything else!! I apologise to those of you who have been popping in to see something new but found it just the same as months ago. I just hope you will come and visit again. Since September we have been looking after my (then) 100 year old Auntie Lucy (she is now 101 years old). She lived on her own, was completely independent and able to do everything for herself. She would go to her art group meetings twice a week and was still exhibiting her paintings in September. Then she had a fall and was a bit unsteady on her feet as a result of that. Her doctor told us that he thought she had had a little stroke. So we took her home with us and have been looking after her ever since. She has fluid on the lungs, and has had a couple of infections (all cleared up now), but she has become very very forgetful and unless kept an eye on, could easily hurt herself because she is now unaware of things like hot cooker rings, and will stick her fingers into a toaster while the bread is toasting and picks up red hot plates and bowls but does not realise they are so hot. So although she likes to do her own breakfast and lunch, we have to watch her and make sure she does not hurt herself. We cook dinner so she does not have to do any of that. Anyway, it has become very obvious that she can no longer live on her own so she is staying with us on a permanent basis. That means that we have to be alert 24/7 to make sure she is safe and comfortable and she tells us she is happy staying with us. It has meant that we have even less time now to do the things we would normally do, which is why it has become such a long time since I posted to this blog. Now we realise that Auntie Lucy will always be staying with us I am hoping to get our routines done in such a way so that I can at least have more time to be able to get back to this blog and some lovely family history research. As it is now Christmas time I have made a little virtual Christmas card for my family and friends (haven’t had a lot of time to do real Christmas cards) and want to wish you all a very happy Christmas and a wonderful, happy, healthy, and successful New Year. I saw this tombstone at Gwennap churchyard when we were there the other day and thought it was such a nice monument for the young person at rest there. We stood for a while looking at this tombstone, just drawn to it and we felt quite moved by the words that were inscribed on it. We hope they helped William and Elizabeth with the loss of their young daughter. Isn’t Jerushah an unusual and lovely name? 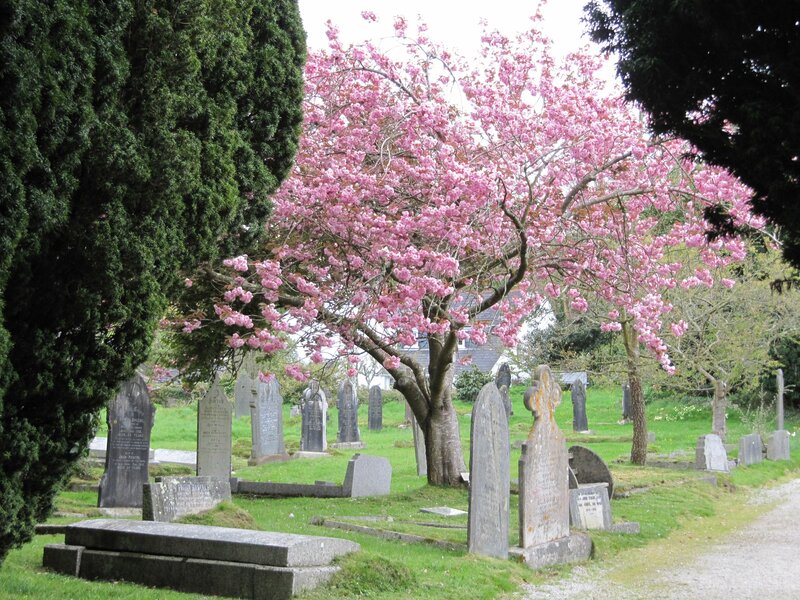 A few days ago I mentioned on this blog that I was adding the churchyard of Gwennap, Cornwall to those I already “look after” as a Graveyard Rabbit. This is the first Tombstone Tuesday for that churchyard. 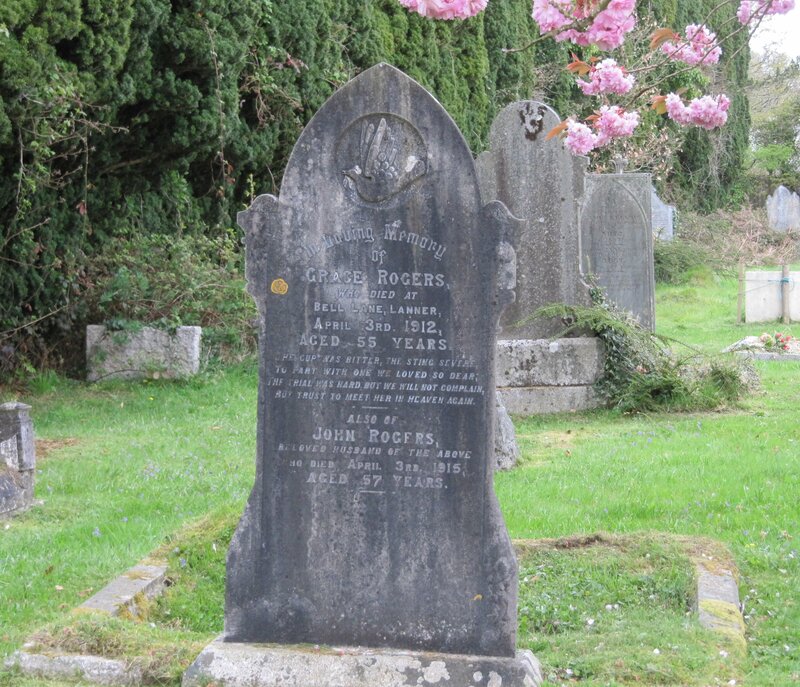 This Tombstone is for Grace Rogers and at this stage of my research I am not sure if she is related to my other half Paul or not, so other than what is written on her tombstone, I don’t know anything else about her. But trust to meet her in Heaven again. Isn’t it interesting that both Grace and her husband died on the same date, although three years apart? I wonder if John died of a broken heart on her anniversary? Today, as it was a beautifully sunny day, my other half Paul and I went to Gwennap Churchyard to search for some of his ancestors lying at rest there. By the time we got there it had clouded over and dark rainclouds were forming!! It was looking so nice there with all the Spring flowers dotted about all over the place but it turned out to be a much larger churchyard than I had realised!! We are going to have to come back several times to search for Paul’s ancestors as it is such a large churchyard. While there, I decided that it would be nice to add this to the churchyard at Mithian, Cornwall and the churchyard at Lower Winchendon, Buckinghamshire that I am the Graveyard Rabbit for. Many of the tombstones are very well preserved, some have very interesting designs, quite different from the majority of plainer ones at Mithian and Lower Winchendon and I noticed that it was very easy to read the inscriptions of most of those I looked at today. This is the sign at the entrance to the churchyard. I think it must be the most attractive sign for a church that I have seen in a long time!! Most are usually past their best, with peeling paint or warped, tatty looking wood. 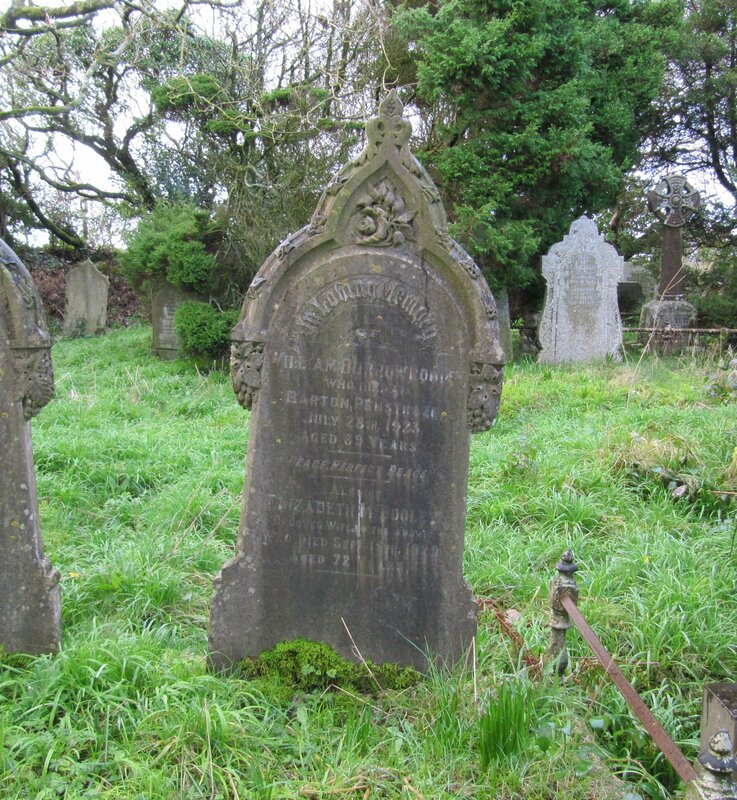 I will start adding some of the tombstones in this coming week, and of course, when we find those of Paul’s ancestors, if they still survive, then those will be shown here as well as at my genealogy blog So That’s Where I Get It From. 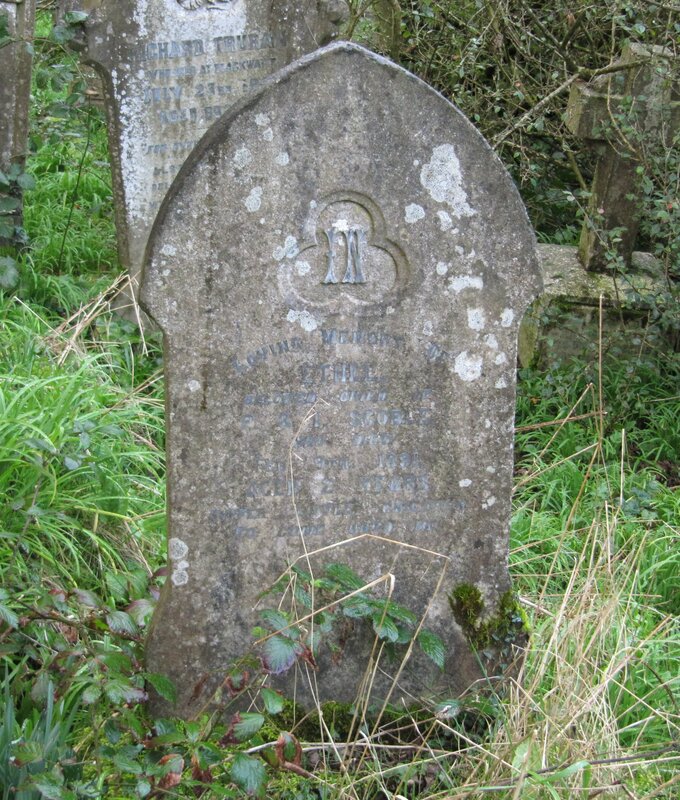 This is another tombstone of members of the Pooley family, following on from last week, at St. Peter’s, Mithian, Cornwall. As far as I know this family is not connected to me or my man Paul’s family, although he has family at rest in this churchyard. 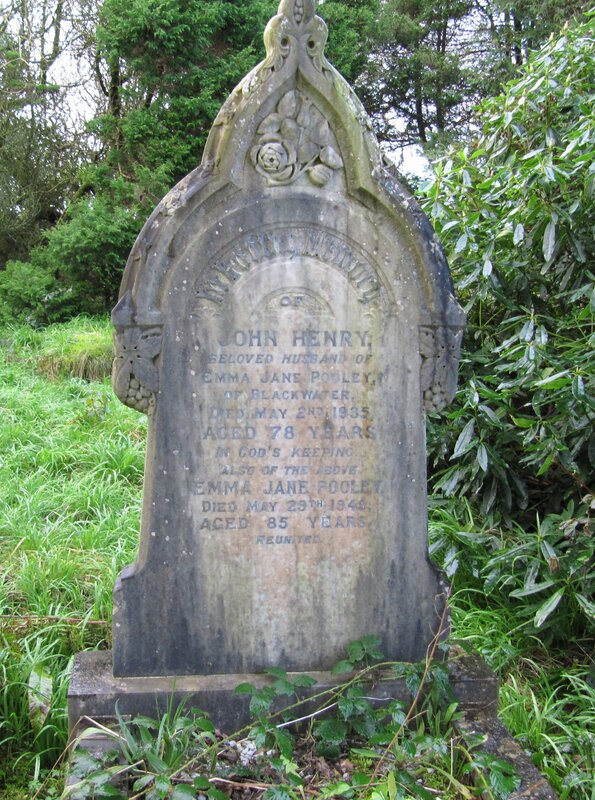 As with my other genealogy blog So That’s Where I Get It From, I have missed adding posts for Tombstone Tuesday for a couple of weeks. Problems with our internet connection again (sigh) and general things meant that I could not add anything here until now. 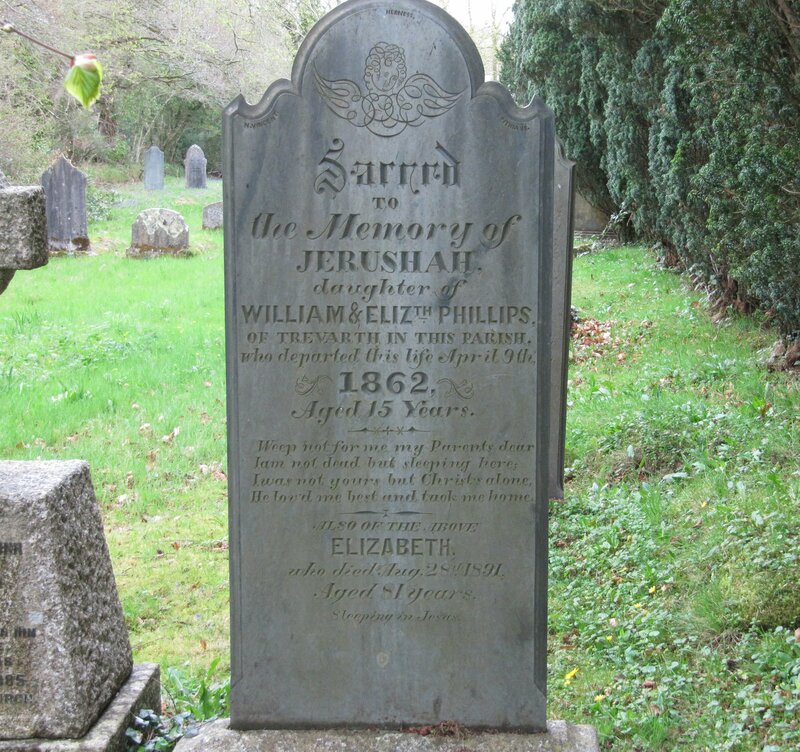 Today’s tombstone photograph was taken at St. Peter’s, Mithian, Cornwall a few weeks ago. When taking photos at Mithian last week, I noticed one grave that was much smaller than all the others. I knew it could only be the grave of a child, so I am including it here for Wednesday’s Child.